Awhile back I wrote Aim Higher™: A Case for Choice Reading and a Whole Lot More in AP English. I am pretty sure I thanked everyone individually for the comments. If not, thank you for helping me think through this pedagogy even more. One reader asked for my reading list, and I’ve been derelict in posting that. I am sorry. Since my classroom instruction centers on helping students identify themselves as readers and writers, I being Readers and Writers Workshop on the first day of school. We read and workshop a short piece — sometimes my AP English Language syllabus one-pager. We write and usually do a short revision workshop. Students learn quickly that writing requires revision. I give students the following list of books and tell them that at each quarter they will be responsible for getting their hands on one of the titles. They may purchase the book, borrow it from a library, download it to their device, or in extreme circumstances, check out one of the few copies of each title I keep in my room. We are a classroom of readers, so reading is the only option. Note: I didn’t facilitate four book clubs this year. We only had time for three, and we never got to the first list of books below. It took me a long while to learn how to fit my instruction into the schedule at my new school: a 90 minute period where I see my students every other day and then every other Friday. I lost some time figuring it out. Next year, I am going to put this list first, and we will analyze author’s craft as we learn about argument. 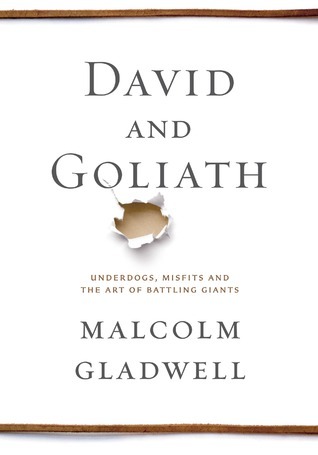 I’m also thinking of only introducing Gladwell’s books. I’ll add David and Goliath: Underdogs, Misfits, and the Art of Battling Giants, and maybe What the Dog Saw: And Other Adventures after I read it this summer. That way students will still have choice as to which book they select, but all students will be reading books by the same author. This should work well as we study the moves of one writer, something I waited way to late to do this year. I am always reading some piece of compelling literature, always on the look out for the next book to add to these book club lists. My students did not enjoy The Bell Jar, although many students chose to read it, and no one chose to read The Things They Carried, even though I made as big a deal out of it as all the other titles. I just added Swamplandia this year, and then I forgot to talk about it, so it is still not vetted with students. If you have any suggestions for compelling, complex, rich literature that engages adolescent readers, please share your titles in the comments. Thank you. I’m a little late to this thread by only a few years, but I’m assuming your list of book clubs has changed slightly with your AP kiddos. Would you mind sharing your list of updated books? I gave my AP kids a limited choice this year, but next year I want to provide them with complete choice with book clubs grouped around a common theme. Would love to hear your thoughts about this idea or what has worked best for you in structuring your AP Lang class with choice texts. 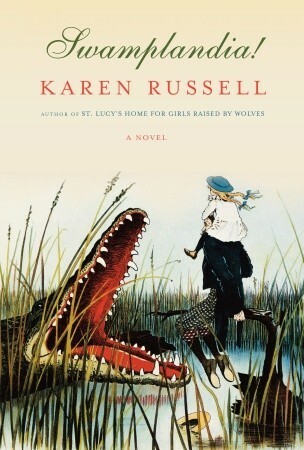 I read Swamplandia not too long ago–I’m curious what your students will think. It was a pretty unique book to say the least. Not what I’d expected when I initially picked it up. Can you talk about how you fit workshop and instruction into your 90 minute period? I have essentially done workshop for years, but would like to be more organized and purposeful about it next year. I teach on a 90 minute block as well, and can’t seem to figure out how to do it well. Yes, Jessica, I’ll write a glimpse into my daily schedule soon. I’ve had bit of a time adjusting from five 50 minute periods a day to every other 90 minutes day. I completely understand your desire to be more organized and purposeful. Thanks for asking.